Happy fall y'all! You know what that means -- it's college football time! As college students, one of our favorite things is hanging out at tailgates and then supporting our boys for a rivalry showdown. This fall, I'm all about being comfortable in the southern heat. Luckily ADIDAS really helps a girl out by stocking our campus bookstore with the cutest athletic wear. 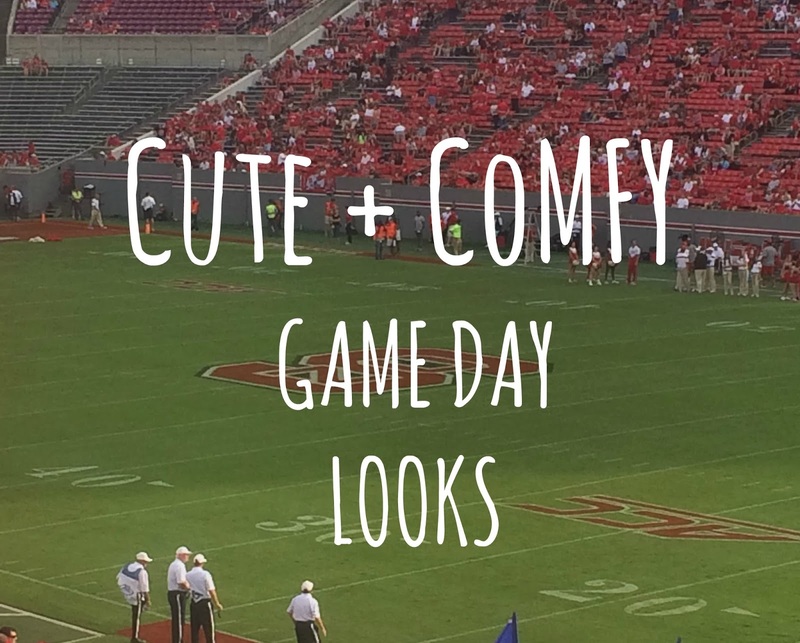 I don't even have to go to the mall to find the perfect outfit for game day! The selection we have is fantastic, there are so many different options you could probably create a new look for every home game of the season. For all of my Wolfpack girls, you can browse the online collection of NCSU items directly from our bookstore. I absolutely adore this ADIDAS tank top because it's so cute and NCSU, but I wouldn't mind wearing it any day. I love that it's black and white but still represents NCSU because sometimes red is a little bold for me so I don't wear it that often. 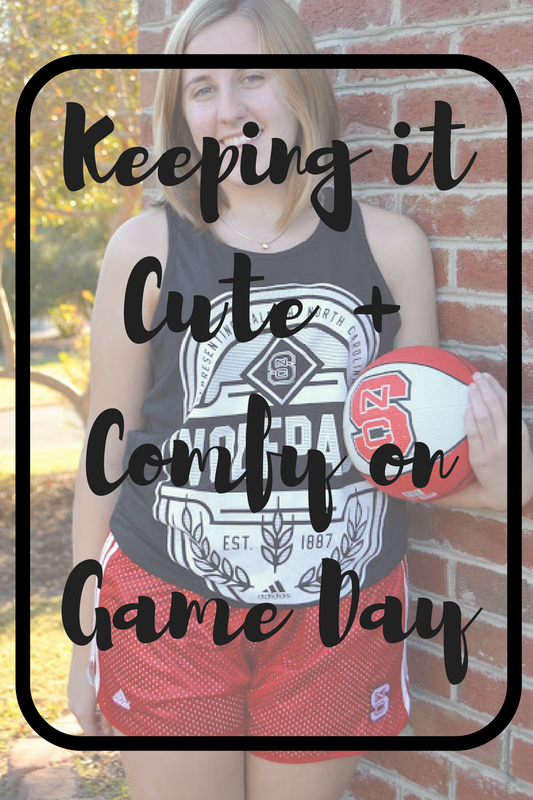 When I'm going to a football game though, I do want to be very spirited so I paired this tank with ADIDAS mesh NCSU athletic shorts and I love the look that it created. I feel so sporty but it's still super cute and I'm so comfortable that I can cheer and play games without ever having to worry about being constrained by what I'm wearing. The climalite technology in the clothing keeps you dry when you're being active in the heat, pulling sweat away from your body and keeping you cool -- perfect for those afternoon games. Since we're in the month of October, I absolutely love the new tee shirts that I found in our bookstore by ADIDAS. They're pink! I definitely don't mind switching out red for pink every once in a while - especially if I'm drawing attention to a great cause. These breast cancer awareness tee shirts are perfect for October games, paired with leggings or jeans. This shirt is so comfortable too, it's going to be one of those "go to" shirts for me. I also found a selection of traditional State-colored shirts and knew that I had to have one. I mean, I need something to wear on "Wear Red Fridays" right? 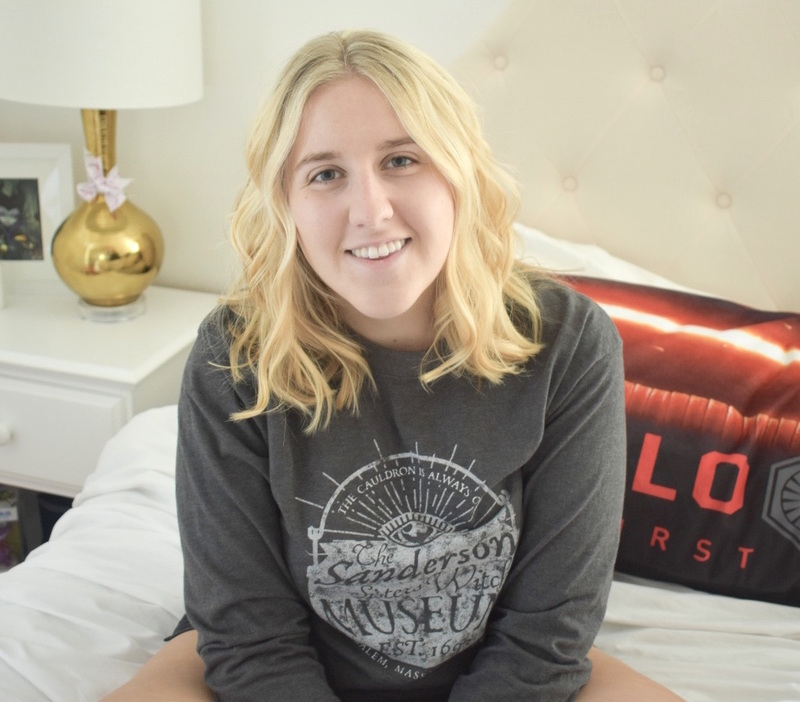 I'm so picky when it comes to sports shirts because I want a cute pattern and I want it to be unique. All athletic shirts tend to be the same, but I was pleasantly surprised to find a ton of cute tees in the ADIDAS section. I had the hardest time picking out which one I liked the most, but I'm so happy with my choice! This is the perfect tee shirt that I can continue wearing into basketball season! Be sure to head over to your campus bookstore and check out the items that ADIDAS has to offer. Tweet me pictures @madisoncarter12 so that I can see your cute+comfy look with the hashtag #3stripestyle - I can't wait to see them! Thank you to Adidas and Her Campus Media for partnering on this post!